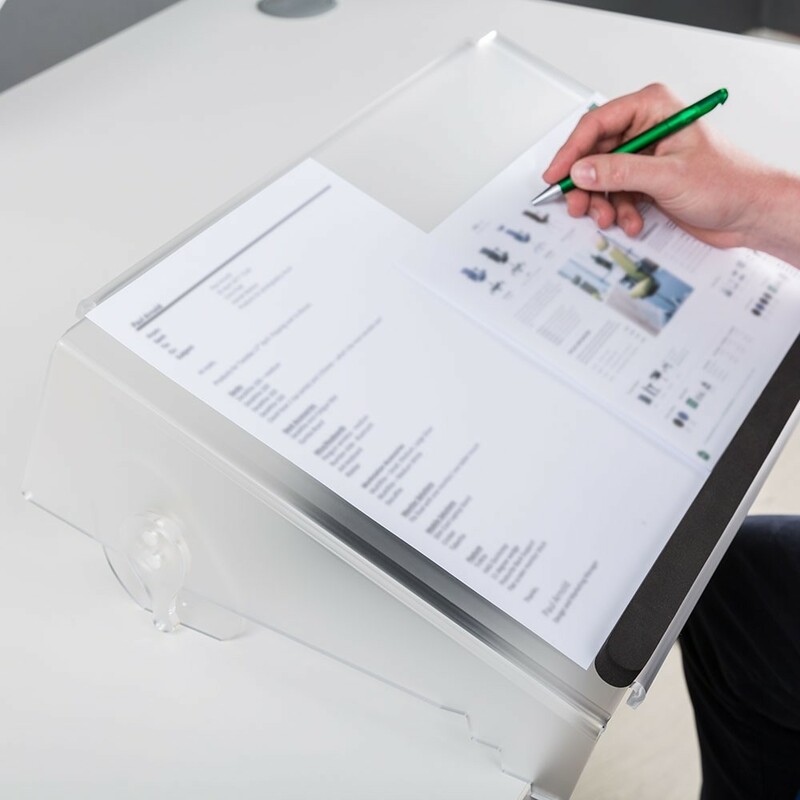 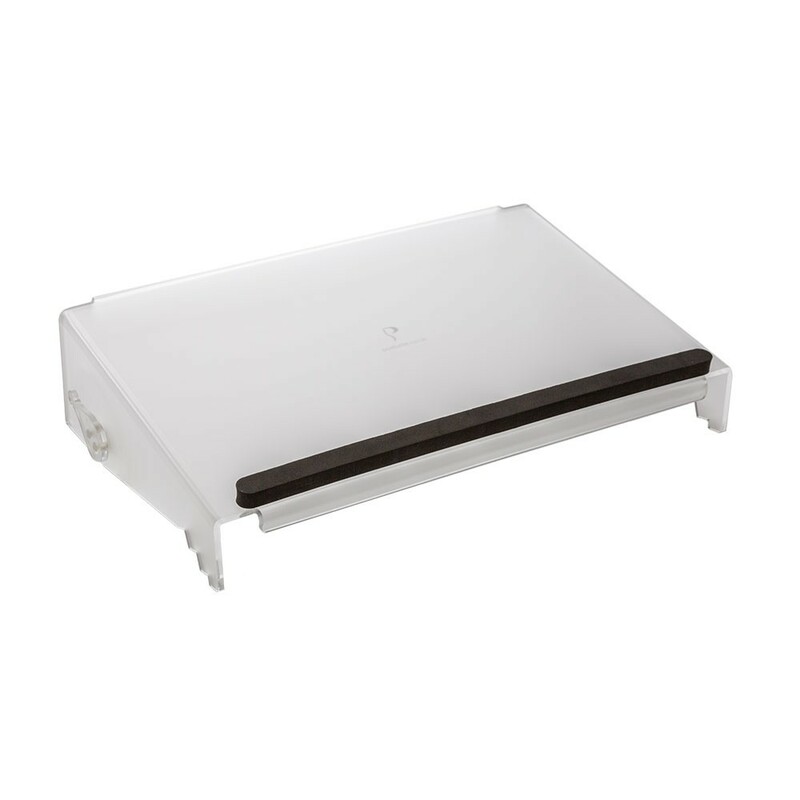 The DocuRite is an easily adjustable multi-position, acrylic document and writing slope. 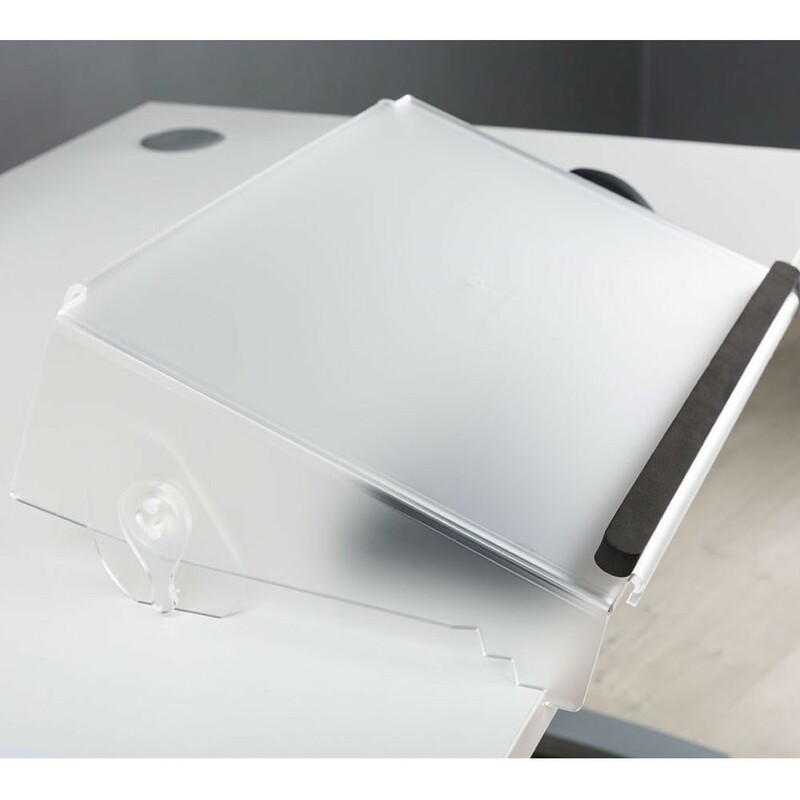 Made of robust 5mm frosted acrylic, DocuRite’s angle is adjusted by rotating a simple lever on either side that offers the user a choice of three positions to view documents at their optimum angle. 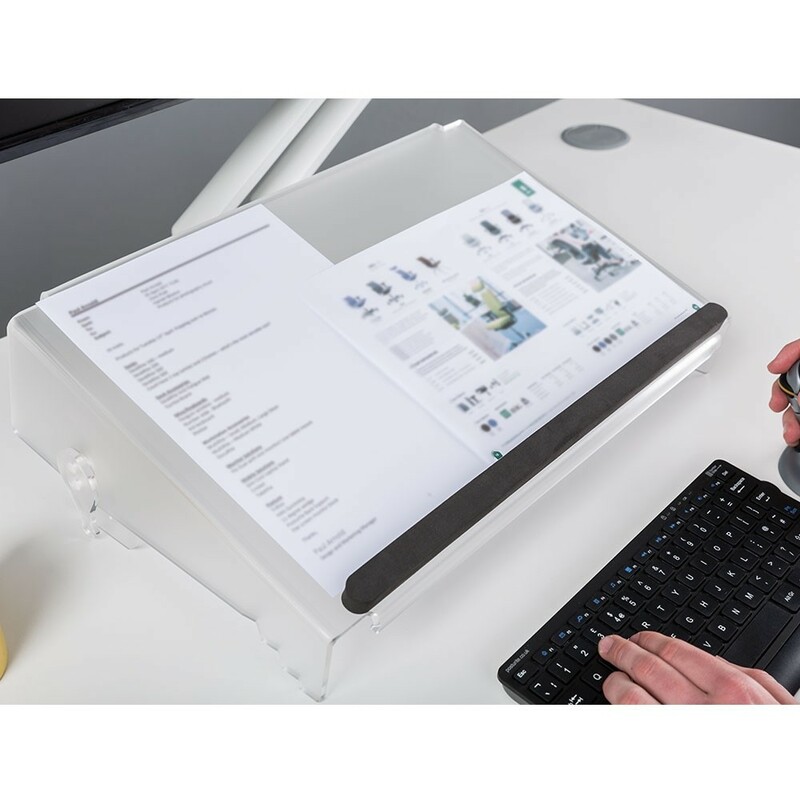 Four front steps allow the user to place the DocuRite securely over a desk front if needed for four extra viewing angles.